I was 20 years old when approached by a man in the back cassette tape isle of the Borders bookstore music department. A stranger with questions, so many questions. Each individual letter of the smooth words oozing easily and carelessly from his mouth, slowly began jamming into one another, entering my ears like a noisy gong alarming me to run. Flee. Search aggressively for the nearest exit. Yet, my body became entirely motionless. Numb. Unable to speak or move past the chaotic and abrasive noise flowing from his misleading lips and soon his twisted and deceptive hands. He invaded personal boundaries without so much an inkling of an invitation to that which he desired to see, touch, feel. It's now been twenty one years since that spring Saturday afternoon, and yet I still hear the paralyzing echo of his voice. I still know the distinct smell of the plastic wrapped cassette tapes lined up alphabetically in the shelves surrounding him. I still see the outline of his twisted smile, his wandering hands, his overpowering stature, his deceptive shiny words. Yep, It's all still there. And without being fully consciously aware, this unforeseen moment in time had enough power, enough penetration, enough puncture to taint my view on God. Up to this point, my relationship, my certainty, my trust towards men and God was a nonnegotiable. Trust was all I knew. My dad portrayed what a good leader, a kind man and a safe father should be. One who's meek, yet confident. One who's kind, yet wise. One who's tender, yet strong. He was fully loyal, completely trustworthy, and genuinely faithful. His character accurately represented the God I read of in the children's bible he and mom had gifted me with at the influential age of seven. And yet ironically, even with the firm foundation and the fixed infrastructure built over a many number of years by the caring, tender and safe hands of a good man; one demonic, one evil, one twisted dark moment of a broken man, tainted not only my trust in men, but God Himself. Satan's greatest tactic is to enable men to misuse their position so that women believe a twisted version of who and what a man represents, therefore tainting the correct depiction of who God ultimately is. And often, subconsciously, we as women have difficulty differentiating the two. If the enemy can tempt us to mistrust the transforming promises, the steadfast character, the unfathomable love and the unconditional faithfulness of God, then he fully satisfied his dark, twisted and perverted desire for the day. It's possible your experience wasn't with a stranger. But someone who was supposed to care for you, love you, protect you; instead took advantage of you, left you, deceived you, wounded you. Quite possibly, without even your knowing, your relationship with God has been tainted by someone else's poor choice, an unmet need, or simply the failure of a father's role. And, as a result, instead of safety, God began to slowly represent uncertainty. Instead of kindness, judgement. Instead of patience, anger. Instead of stability, insecurity. Instead of trust, suspicion. Instead of faithfulness, disloyalty. Instead of comfort, fear. Instead of forgiveness, condemnation. All of which often reside in the deepest reservoir of the belief system of a woman who's been injured, rejected, violated or wounded physically, mentally, emotionally and/or spiritually at the hands of a man. There's no doubt the enemy sought to taint my perception of men and God that day -- and if I'm completely honest with myself, I'm slowly recognizing how this experience, hand crafted by satan himself, was faintly woven into my every day interactions in both my marriage and love-walk with Jesus. But it was precisely here, where the enemy attempted to kill, steal and destroy; where God took the shame of my heart and plowed up the soil within. Jeremiah 4:3 says that God plows up the hard ground of the heart. It's in this plowing process that involves taking the decomposition within and tilting it until it turns into fresh, good and fertile soil. God, in His goodness, takes the garbage, the confusion, the pain, the embarrassment- the decomposition of our circumstances and plows the heart until the remnants of the enemy's ashes turn into absolute raw beauty. God doesn't always desire to eradicate-- but to recreate. God is not that guy. 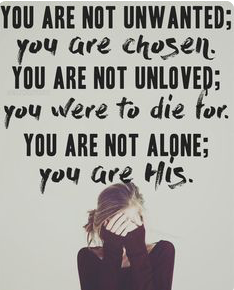 He is not your unavailable earthly father. He is not your adulterous ex-boyfriend. He is not the one who left you. Who betrayed you. Who violated you. Who rejected you. Who didn't notice you. Who looked down on you. Who disappointed you. Who lied to you. Who shamed you. Who won't forgive you. No, precious one, God is not that man. It goes against every fiber of His character to be anything but perfect. Webster defines perfection as "The condition, state, or quality of being free or as free as possible from all flaws or defects." Yes, dear friends, God is not only perfect in all His ways, He is the very definition of perfection. 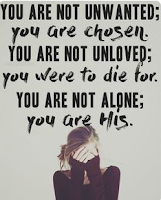 God Alone is the Perfect Father, the Faithful Husband, the Wise Counselor, the Strong Protector, the Matchless Healer, the Tender Comforter, the Fierce Leader, the Constant Companion, the Great Physician, the Kind Forgiver; and the list goes on and on and on and on. He supplies all we need, in spite of our lack. His level of trustworthiness is radically incomprehensible, and our finite minds cannot understand the depths, the heights, the lengths, the widths of His deeply intimate, uniquely personal and undiluted purified love. 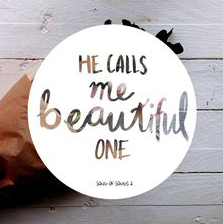 He finds you radiantly beautiful, perfectly made and inherently precious. Nothing you have thought, said or done can shift His unreserved, unconditional, immeasurable, no-strings attached kinda love towards you, towards me. Micah 7:18 says "He delights in showing unfailing love." 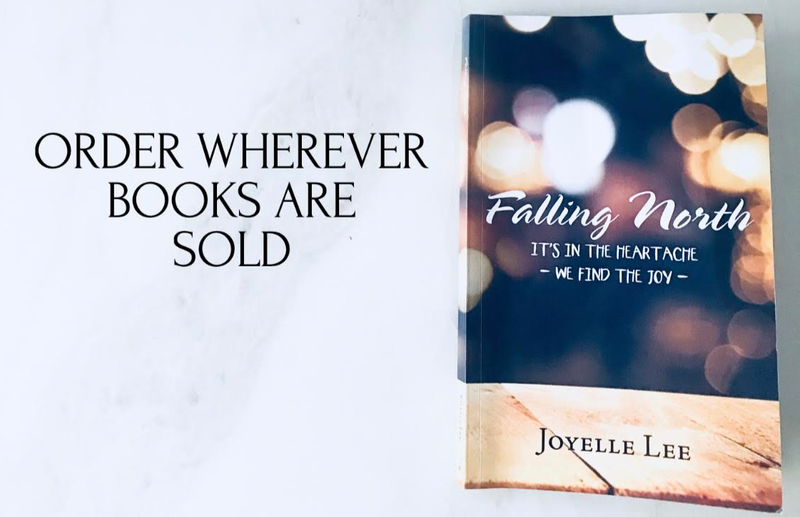 It is here, in the delight of His unfailing love, where unadulterated faithfulness and transforming perfection collide into the heart with faultless unity. Where He takes that which the enemy sowed for destruction and plows up a harvest of generational impacting beauty and whispers in your ear... "You are my beloved. My daughter. I take delight in perfectly loving you."